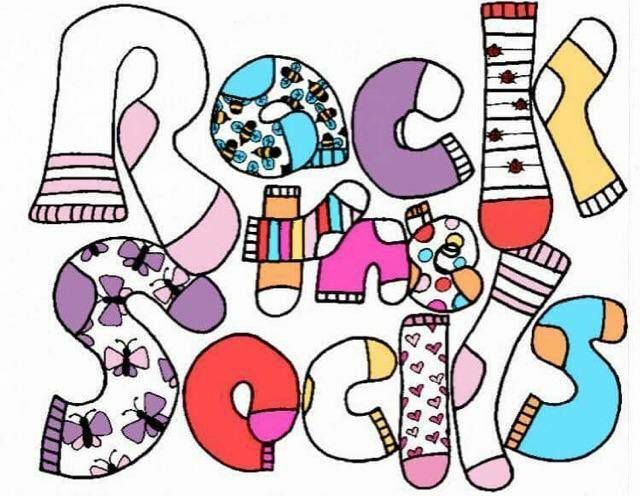 What is Rock The Socks? Rock the Socks Foundation, Inc., is an all-volunteer charitable organization created by an EB family who had to navigate these troubled waters alone. This family’s hope is to assist other EB families by providing them with a charted course of support. The Foundation’s goal is to make a real impact on the quality of life of those affected by EB by raising funds and gathering supplies for EB patients and their families. The short-term focus of Rock the Socks Foundation, Inc. is educating and assisting families with day-to-day wound-care knowledge, hands-on bandaging and pain-management techniques, as well as equipment set-up (including, but not limited to: feeding, diapering, bathing, and special clothing.) The Foundation also plans to provide guidance to mitigate the inevitable mental anguish felt by the family. Long term, the Foundation hopes to be able to support families through continued education, updated materials as new-treatments/protocols are developed, and frequent question-and-answer sessions for affected families.